It is essential for the public and policymakers to understand that the "failure" of a financial institution does not generally imply losses to customers or counterparties, but only to its stock and bondholders. The FDIC efficiently handles scores of bank "failures" annually by taking receivership or conservatorship of the whole bank, typically selling its assets and non-bondholder liabilities as a single going concern (which can then be recapitalized), wiping out stockholder equity, and providing partial recovery to bondholders with any residual. This receivership process works. Bank failure through the receivership process - even involving major banks - does not create economic harm or even loss to depositors. Witness the seamless and almost forgettable receivership of Washington Mutual two years ago, which was the largest bank "failure" in history. We should not be devoting public funds to bail out such failures, outside of the receivership process. What should, and must be avoided are disorganized Lehman-style failures requiring piecemeal liquidation of going entities. This distinction is crucial. The disruption created by Lehman's disorganized failure need not have occurred if the FDIC had been vested with authority to take the going concern into receivership and to provide partial recovery to bondholders with the proceeds of Lehman's intact transfer. When the assets of a company decline below the value of its liabilities, the only buffer between solvency and bankruptcy in the present system is shareholder equity. For example, if a company has $100 of assets, $95 in liabilities and $5 of shareholder equity, a decline in the value of assets of anything over 5% will make the institution insolvent, even if a large proportion of those liabilities are to the company's own bondholders. This bondholder capital can only be accessed as a buffer against customer losses if the bonds default or "fail." Requiring a significant portion of bondholder capital to be in the form of convertible debt would avoid this problem. If the company approached or became insolvent, a portion of bondholder capital would undergo a mandatory and automatic conversion to equity, providing an additional buffer against losses to customers and counterparties, without requiring public funds, and without requiring bond defaults. This approach has also been proposed by William Dudley, president of the New York Federal Reserve. Though a like provision is included in H.R. 4173, that bill also quietly provides the Treasury and Federal Reserve up to $4 trillion in bailout authority for the banking system, with recklessly thin restrictions (e.g. maximum Congressional debate of 10 hours in the event of future emergency funding requests). This provision should be stripped or made subject to drastically stronger oversight and restrictions on what constitutes emergency funding. Revisions should emphasize safeguards to ensure full recovery, implement repurchase provisions and other built-in exit strategies to extract government provided capital, and should subordinate both equity and bondholder claims to those of the government in the event of eventual default (preferred stock investments are inappropriate in this regard). In virtually all cases, the liabilities of these companies to their own bondholders are capable of fully absorbing all losses without the need for public funds. This layer of bondholder capital is sufficiently thick that neither customers nor counterparties of the institution need be affected by the "failure" of major financial institutions. By providing public funds to defend the bondholders of these financial institutions, each dollar of debt that should be written off survives as two - one being the original dollar of debt, and the second being a new dollar of public debt that must be issued to finance the bailout. Presently, the bondholders of even Bear Stearns stand to receive every penny of principal, with interest, on their debt securities, thanks to the American public. This absurdity owes itself to the inability of the FDIC or other regulator to take Bear Stearns into receivership in 2008 - an inability that stunningly continues to exist because Congress has not acted to provide this authority. The abandonment of Glass-Steagall a decade ago has proved to be a massive and failed experiment, allowing financial institutions to conduct speculative activities with cheap credit, piggy-backing on banking protections that were designed strictly for the benefit of the public. Ideally, the Volcker rule should be extended to encompass the restrictions of the original Glass-Steagall Act (which was passed in 1933 following the Great Depression). The failure to separate the banking system from leveraged, non-banking activities such as underwriting and speculation creates countless interdependencies and implicit subsidies. It also creates difficulties in protecting bank depositors from losses without also inappropriately protecting counterparties to much more speculative activities. This lack of delineation has been a clear contributor to the difficulties that the U.S. economy now faces. Credit default swaps act essentially as insurance contracts, which pay out in the event that the bonds of a financial institution go into default. Large speculative books of credit default swaps have been created, often in excess of the value of the actual debt of the underlying institutions. These swaps create a risk of contagious losses for the counterparties of these swaps if the debt of some institution goes into default, even if the party receiving payment has no position in the impaired bonds. Such large-scale speculation inappropriately amplifies the disruption caused by the failure of a financial institution. Credit default swaps are appropriate hedging devices provided that the holders have equivalent positions in the same or like financial debt. Their use as naked speculative vehicles should be prohibited. 6) Require the originator or arranger of securitized mortgage loans to retain a substantial unhedged equity exposure to every securitization deal. This recommendation was included in a March 2008 staff report by the New York Federal Reserve (Understanding the Securitization of Subprime Mortgage Credit). Among the principal causes of the recent mortgage crisis was the incentive created by deregulated financial markets to initiate mortgage loans regardless of the creditworthiness of the borrower, and to package these loans into mortgage pools that were securitized and quickly sold to yield-hungry investors, institutions and hedge funds. These buyers were either misled by inaccurate ratings on these securitized mortgages, or presumed that they would ultimately be protected against losses by the U.S. government. By failing to require any equity exposure on the part of the originating lender, or the arranger of the securitized mortgage pool, all incentives were removed to allocate capital to credit-worthy borrowers. The profit-maximizing action was to initiate as many mortgages, at the easiest terms, as quickly as possible. The enormous overhang of Alt-A and Option-ARM mortgages (largely interest-only loans due to convert to interest plus principal shortly) was a predictable result of this process, and a fresh spike of delinquencies on these mortgages will be an equally predictable outcome in the coming quarters. 7) Recognize that "toxic assets" remain on bank balance sheets. They have merely (and most probably temporarily) been written up, in an environment where FASB rules provide "significant discretion" in the valuation of these assets, and where "off balance sheet" assets will not be required to be brought onto balance sheets until first quarter reports are released. In this context, the widespread payment of record 2009 bonuses by institutions that received public funds or were made whole by receiving the bailout funds of rescued entities (such as AIG) appears to be little more than unscrupulous opportunism. While it is not clear that the bank tax proposed by the Obama Administration is the most appropriate response, at minimum, bonus payments made by these institutions should be required to be in the form of restricted equity with a mandatory 5-year holding period (if the government does not demand it, the shareholders of these institutions should). 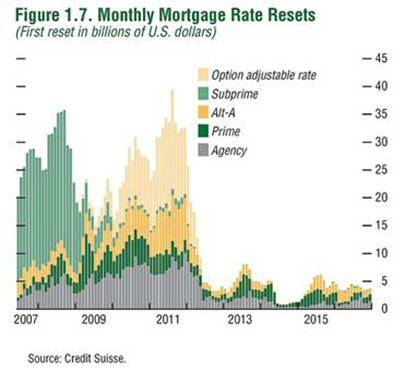 In the likely event of a second wave of credit difficulties (see below), Congress should allow "toxic asset" purchases using public funds only to the extent that the entire issuance of various securitized mortgage pools can be purchased "all or none" at a moderate percentage of face value. This would allow the underlying mortgages to be restructured - ideally writing them down to a similar percentage of face - reducing their foreclosure risk, and increasing the likelihood that public funds will be recovered. 8) Discharge and replace Ben Bernanke and Timothy Geithner. Since the beginning of the credit crisis, both of these bureaucrats have proven themselves to be ardent defenders of bank bondholders but a danger to the interests of the public and to the clearly defined prerogatives of Congress under the U.S. Constitution. Defending the public emphatically does not require the public to defend the bondholders of mismanaged financial institutions against loss. Both Bernanke and Geithner have made repeated end-runs around Congressional spending authority in defense of these institutions. Witness the Federal Reserve's actions during the Bear Stearns crisis. As I noted at the time, "The troubling aspect of the Fed's action was not that it lent to a non-bank entity. That ability is clearly authorized by Section 13(3) of the Federal Reserve Act. The problem is that it made its "loans" as "non-recourse" funding - meaning that it would not stand to be repaid if the collateral itself was to fail, even if Bear Stearns and J.P. Morgan survived. This feature converted the "loans" by the Fed into unauthorized "put options," benefiting private entities at potential public expense. This is a terrible precedent, and it deserves far more scrutiny and reluctance before we accept that this was the only available option." "LIMITATION ON AGGREGATE INSURANCE AUTHORITY.—The aggregate original principal obligation of all mortgages insured under this section may not exceed $300,000,000,000." "That's $300 billion of original principal. If there is some loophole by which the Treasury's action is legal, it's clear that it was no part of Congressional intent , and certainly not broad public support. Taxpayers are now being obligated by the Treasury and the Fed to make good on a potentially much larger volume of bad mortgage loans, made by reckless lenders, guaranteed by Fannie Mae and Freddie Mac in return for a pittance (called a "G-fee"), and packaged into securities which are now largely owned by the Federal Reserve, which has acquired them through outright purchases (not traditional repurchase agreements)." Given the revolving door between Wall Street and Washington D.C., there is every prospect that Bernanke and Geithner will have an easy time obtaining employment among the firms that benefited from their tenure. It is interesting that Neel Kashkari, who headed the TARP and worked on the rescue of Fannie Mae and Freddie Mac, was just hired by PIMCO (which was among the largest holders of their subordinated debt). Step 2: U.S. Treasury quietly announces unlimited 3-year support for Fannie Mae and Freddie Mac on December 24, 2009, exploiting a loophole in a 2008 law that was originally written to insure a maximum of $300 billion in total mortgage principal (not losses, but principal). Step 3: Within that 3-year period, we can expect the U.S. Treasury to issue $1.5 trillion in new Treasury debt to the public, taking in the $1.5 trillion in base money created by the Fed in Step 1. Step 4: U.S. Treasury then hands that $1.5 trillion in proceeds from the new debt issuance to Fannie Mae and Freddie Mac. Step 5: Fannie Mae and Freddie Mac use the proceeds to redeem the $1.5 trillion in mortgage securities held by the Fed, thus reversing the Fed's transactions in Step 1, without the need for any other "unwinding" transactions (watch). The base money created by the Fed comes back to the Fed, and the mortgage securities purchased by the Fed disappear, by burdening the American public with a new, equivalent obligation in the form of U.S. government debt. Outcome: The Federal Reserve closes its positions in Fannie Mae and Freddie Mac securities, the quantity of outstanding Fannie Mae and Freddie Mac liabilities declines by $1.5 trillion, thus allowing their remaining assets repay the remaining liabilities without a $1.5 trillion hole of insolvency, and the outstanding quantity of U.S. Treasury debt expands by $1.5 trillion in order to protect the lenders, while ordinary Americans continue to lose their homes and jobs. Throughout this crisis, the ultimate objective of Bernanke and Geithner has consistently been to protect the bondholders. This objective will not change unless the leadership changes. We continue to face a large second wave of mortgage delinquencies and foreclosures, driven by Alt-A and Option-ARM mortgages written near the peak of the housing bubble. As FDIC Chairwoman Sheila Bair noted several weeks ago, "Let's be honest about it. Hybrid ARMs were never made based on the assumption that the borrowers would be able to make the payment once the loan reset. They were designed as two or three year 'bullets' ... with the assumption that home appreciation would allow the borrower to refinance at, or before, reset. Given current conditions in the housing market, this business model is no longer viable, which should come as no shock to anyone." Moreover, only 9% of seriously delinquent mortgages have been modified to date, and these are mostly term extensions. A recent Fed study reports that only 3% have received modifications that would allow a reduction of mortgage payments in the first year. With regard to modifications, as I've argued in great detail in prior commentaries, I am not an advocate of providing public funds to make mortgage lenders whole, but instead advocate using the Treasury as a conduit (as a coordinating mechanism rather than a funding provider) to administer the aggregation of what I've called "property appreciation rights." These would be tradable claims on future home price appreciation created in return for mortgage principal reduction. As for the current state of the mortgage market, last week, RealtyTrac (which tracks delinquency and foreclosure data) reported a 14% jump in mortgage delinquencies in December compared with the preceding month. RealtyTrac observed " Despite all the delays, foreclosure activity still hit a record high for our report in 2009, capped off by a substantial increase in December. In the long term a massive supply of delinquent loans continues to loom over the housing market, and many of those delinquencies will end up in the foreclosure process in 2010 and beyond as lenders gradually work their way through the backlog." To this inventory, we can expect to add the predictable surge in delinquencies as Alt-A and Option-ARM mortgages move into the heavy portion of their reset schedule over the next several quarters. In the likely event that the recent credit crisis is not in fact over, it should be clear that the U.S. cannot afford to maintain the blank-check policy approach that Bernanke and Geithner have pursued. Despite a brief reprieve from financial deterioration in recent quarters, at the cost of trillions of dollars in deficit spending, the probability of a fresh round of mortgage difficulties and credit losses remains high. The continued need for action from Congress is urgent, and time may be shorter than it appears. Despite last week's decline, the Market Climate remains characterized by overvalued, (intermediate-term) overbought, overbullish and rising-yield conditions. As I noted last week, this is " a situation that has historically been associated with a moderate continuation of upward stock market progress and a tendency to make successive but very marginal new highs, typically followed by abrupt and often severe market losses within a time window of about 10-12 weeks. As usual, that's not a forecast - just a regularity. But it's a harsh enough regularity to turn our knuckles white here." From this perspective, blaming last week's decline on the proposed Volcker Rule, or on fears of Bernanke's non-confirmation is like blaming a particular gust of wind for knocking a sideways nickel off of a flagpole. When the market is as extended as the current market has become, a thousand events can act as triggers for abrupt weakness, and it makes little sense to single out any particular one. Having broken an uptrend that has been largely intact since March, as well as a sideways range of support established over the past few months, the natural tendency of the market after such a break is to recover back to the point of prior support, so we should not be surprised if the S&P 500 enjoys a sharp recovery rally modestly above the 1100 level, even if the recent correction has further to go. The CBOE volatility index spiked by nearly 10 points last week, and it is generally the case that spikes in the index are followed by lower prices over the following weeks (except when the starting level is extremely high already, when the spike can reflect capitulation). None of that should be taken as a forecast or as a basis for speculative positions, but those are the regularities. For our part, we remain hedged in Strategic Growth. As a side note on day-to-day performance, Thursday's jump in Fund value was driven primarily by strong earnings reports in a few of our largest holdings. When the Fund is fully hedged (and provided that our long-put/short-call index option combinations have identical strike prices and expirations), the primary driver of day-to-day fluctuations is the difference in performance between stocks that we own and the indices we use to hedge. This differential can be either positive or negative, and while that differential has been responsible for a significant portion of the Fund's long-term performance, we've had a modest pullback in that relative performance in recent weeks. Thursday provided a welcome recovery. In bonds, the Market Climate remained characterized last week by relatively neutral yields and moderately negative yield pressures. We observed an extension of the recent uptick in credit default swaps and other risk-sensitive spreads, which prompted some safe-haven demand that benefited Treasury bonds and the U.S. dollar. Commodities predictably retreated in response to that rush to safety. Here too, the tendency is for trend breakdowns to be followed by a recovery toward prior support, so we may observe a pop in commodities on a relief rally. Looking out further, I continue to anticipate that we will gradually expand our exposure in commodities and inflation hedges in response to price weakness, as I continue to expect a doubling in the consumer price index over the coming decade, with nearly all of that pressure occurring in the second half of this decade (but scant inflation pressure before then). As usual, we continue to focus primarily on present, observable conditions, while remaining aware of the larger macroeconomic context that we face.